Oriol Servia says the universal aerokit’s ability to allow one IndyCar to closely track another has left he and fellow tester Juan Pablo Montoya impressed, and convinced that the fans will be the biggest beneficiaries. 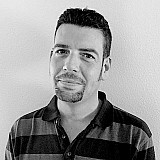 David Malsher reports. 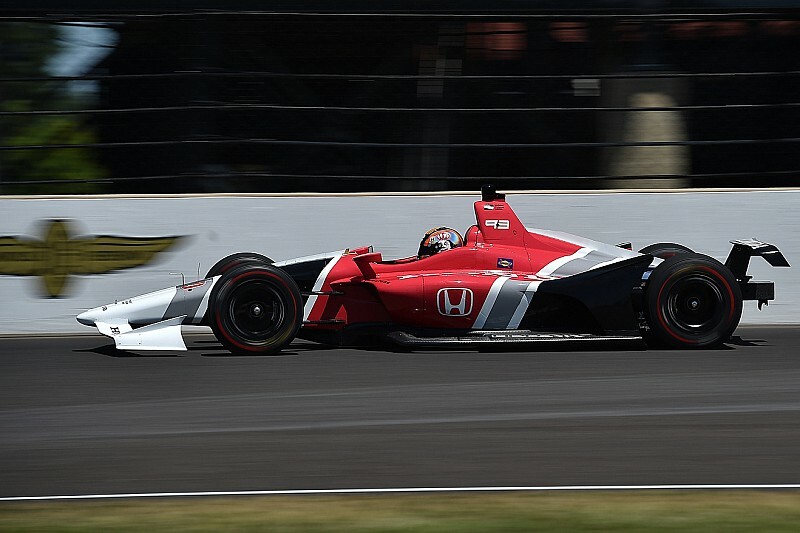 The 2018 aerokit, which replaces the 2015-’17 manufacturer aerokits, has so far been tested by Servia (Schmidt Peterson Motorsports-Honda) and Montoya (Team Penske-Chevrolet) at Indianapolis Motor Speedway, Iowa Speedway and Mid-Ohio. 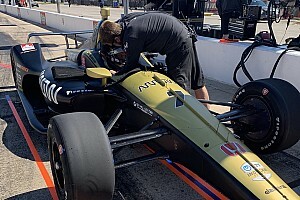 The kit’s fourth and final IndyCar-run test – as opposed to manufacturer test – will take place next Tuesday at Sebring, to represent a bumpy street course. But Servia says the kit has already impressed him. “More than anything, the 2018 aerokit really allows you to follow the car in front so much better than this year’s car,” said Servia. “No joke, at Mid-Ohio Turn 1, I have never ever been able to follow someone that close, not at the speeds we’re turning in. Servia said that even running individually, the cars will be vastly more entertaining for the fans watching trackside or on television. “I think the good drivers come out on top, whatever the regulations, when all the cars are pretty much the same,” he said. “So I don’t think you’re going to see a reset of the order. “But what IndyCar has done is come up with a car with less downforce so that actually shows how hard the drivers are working. That’s a crucial thing, right? 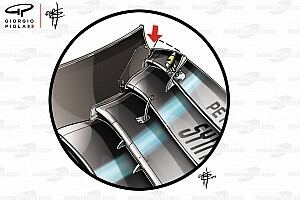 The fans will see the steering movements, the car sliding. “It’s one thing for us to find the downforce amazing because of how much speed we can carry in, but from outside, it looks a lot less exciting. Like Watkins Glen – I watched on TV and because I’m a driver, I know how fast they’re going in those high-G corners. It’s unbelievable. But they look slow on TV! They carry a lot of speed into the corners, they don’t really move around because of the downforce, the aero grip, and then there’s so much drag they don’t look fast under acceleration. “What we needed to do is have the cars move around so the fans get a sense of perspective, and they can appreciate what the drivers are doing. Well, this new car does that. At Mid-Ohio we were running almost 2000lbs less downforce, and we were only 1sec or 1.5sec slower than they had been on race weekend. We’re going so much faster down the straight because of the reduced drag – like almost 50mph faster – with the same engines. It was like back in 2000, when you’re revving through fourth, fifth, sixth and the car’s still accelerating hard. “So now we have the ideal situation, right? We’re coming from a much higher top speed, but being slower in the corners, you have to brake earlier, you have longer brake zones so there are more opportunities to pass. The cars are moving around more under braking and also when you get back to power, so there’s more chance of a mistake and therefore more chance of passing on the next straight. “There’s more of a difference between the drivers because they’ll be braking at slightly different times, squeezing the throttle at slightly different times, depending on talent and how they’ve set up their cars. Ovals have struggled to produce great racing in IndyCar’s manufacturer aerokit era due to the drag/downforce coefficients being misaligned with the reduced engine power outputs. The maximum/minimum speeds have been too close to induce proper acceleration – Phoenix, 189mph/173; Iowa, 184/173; Texas, 223/212 – and the downforce has allowed drivers to remain flat on the throttle in too many of the turns. Servia said that following his and Montoya’s test of the 2018 aerokit-equipped cars at Iowa, he’s confident that is another problem that has been solved. The fans have enjoyed the spectacle in the Indianapolis 500 since the DW12’s introduction in 2012, as there has been a lot of drafting between cars. The car at the front of a pack has punched such a big hole in the air that cars following have been easily able to draft past on the straights, leading to several exceedingly close finishes. Asked if he thought the heavily reduced bodywork for superspeedways would reduce that spectacle, Servia said not. 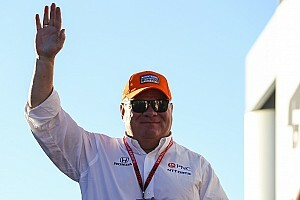 “I think IndyCar are not trying to reinvent the wheel for Indy because they have a package that works in terms of the racing,” he said. “So they are trying to come up with a similar downforce level to what we’ve had before but with the downforce being created under the car. “In terms of overall downforce, I had about the same level as you’d have run in the race this year – not superheavy but not super-trimmed out like in qualifying. And it felt very stable. Like on the roadcourses, you’re going to be able to follow the cars even closer in the corners so I don’t think it’s going to change the racing much. Servia said that the reduced downforce level of the new car means that Firestone Racing would probably have to adjust compounds for certain tracks. “Firestone have been great, they’ve been listening to us,” he said. 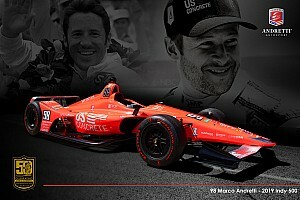 “At Mid-Ohio we tried a few different tire compounds, which was fun because I had not done tire testing in a long time. I can’t go into details but I think there will be some adjustments made. “At Iowa we ended up telling IndyCar, yes, OK, let’s go for the lowest downforce setting but we should ask if Firestone can come up with a tiny bit softer structure for the tire. The tire used at the moment is designed to cope with the massive amounts of downforce that the aerokit produces now, and there’s a lot of vertical load because of the bumps on that track. Servia said he hoped the work he’s been doing for IndyCar, with Schmidt Peterson Motorsports and Honda Performance Development, would pay off and produce a seat for next season. The Catalan veteran is looking at both the Verizon IndyCar Series and IMSA WeatherTech SportsCar Championship, but recognizes that sponsorship – of which he has none – may be the deciding factor in any team’s decision for the future, despite him feeling he’s still in his prime. “Honestly, I feel I’m at my best right now and I just need a proper program where I can contend for wins,” he said. “And if the team is not quite there yet, well, I think I can help any program improve because I have a lot of experience. “We all know that bringing sponsorship these days is tough but I hope there’s a team out there who has the tools and sees me as an asset. All I can do is put myself out there, raise my hand and make phone calls, and that’s what I’m doing. “I hope that my testing with the new car has helped remind people that I can still do a good job setting up cars and driving fast.